Two Riversmeet Leisure Complex in Christchurch held a special launch event on 27 January, following improvements to the centre. The new updated facilities were officially opened on the Saturday morning by Mayor of Christchurch, Cllr Nick Geary, accompanied by Mayoress Mrs Gillian Geary. 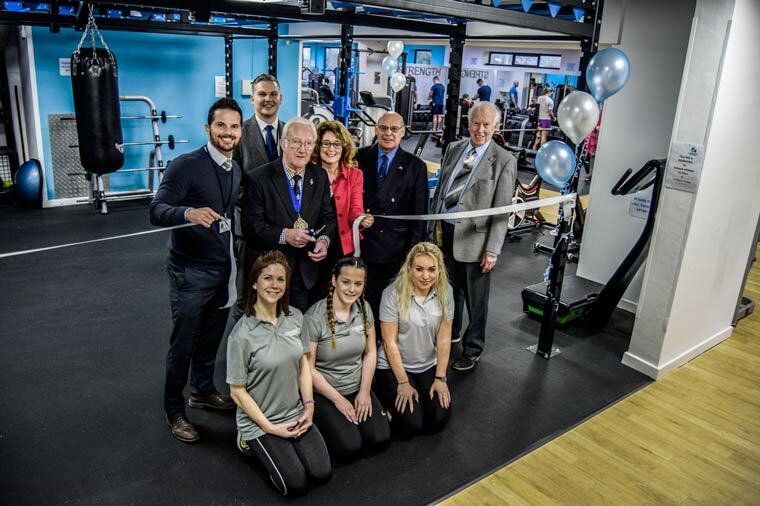 The event celebrated the recent investment of over £100,000 by Christchurch Borough Council to improve the facilities, which now boasts a brand new cycling studio, along with a new audio-visual system and state-of-the-art fitness equipment. Staff at the leisure complex enjoyed a busy morning, where visitors to the centre could experience the new facilities for free and get advice from staff about how they could get more active. Cllr Nick Geary said, “I’m so pleased to see the improvements at this popular leisure centre. Health and wellbeing continues to be a focus for our council, so it’s important that we continue to encourage our residents to lead a more active lifestyle. If you would like more information on how you can get fit in 2018, call 01202 477987 and find out more about the classes and membership offers at Two Riversmeet Leisure Centre.